House Dar Mchicha gives an authentic way to our visitors to have an idea about our Moroccan life style in Marrakech. Situated in the Old town, this Riad offers en suite rooms with free Wi-Fi, a patio with a fountain and garden furniture, and a terrace with sun beds. Excursions and guided visits are organized by the staff. 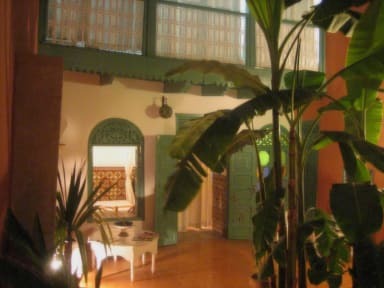 Provided with a balcony opening onto the patio, rooms at Riad Dar Mchicha have a seating area. Private bathrooms outside the rooms are fitted with shower, hairdryer and free toiletries. 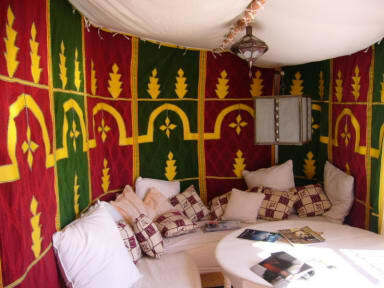 Riad Dar Mchicha is a 15-minute walk from Jamaâ El Fna Square and 140 m from the Jeld Souk. Marrakech Train Station is 6 km away and the Airport is 11 km away.